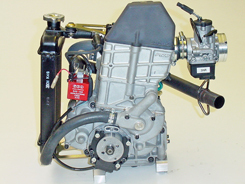 The world-leading TKM 4-stroke engine was designed specifically for kart racing. This great design gives it the power, low weight and compactness of a 2-stroke, with the long life, low noise and reliability of a 4-stroke. 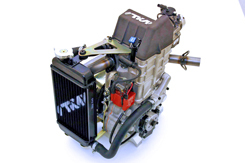 Designed as a performance kart engine rather than a generator or motorcycle based unit. It is a true racing engine which gives many hours of trouble-free running. The TKM team developed the engine from idea to reality using some of the world’s most advanced technical know-how. F1 design and engineering has been blended with Tal-Ko’s 60+ years of expertise and computer operated machinery. The engine is easy to install and use. And with every engine machined to extremely close tolerances and sealed at the factory, performance equality is assured. The engine can be supplied in both Junior or Senior specification which is simply achieved by inserting a carb air inlet restrictor into bore of carb which can be carried out in minutes by the driver. Starting is carried out using a hand-held electric powered starter motor, a bit like F1. An automatic centrifugal clutch makes driving easy. Simply press the throttle and go. You don’t have to buy a new kart to go TKM 4-stroke racing. 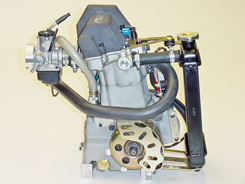 The TKM 4-stroke will fit onto just about any kart – 2-stroke or even Pro-Kart. 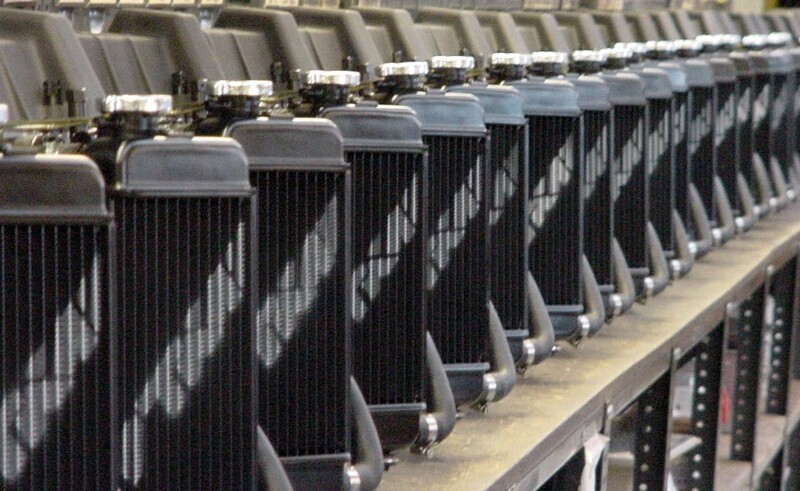 It has been designed to fit as a complete package including radiator. And to make life easy there are exhaust variations and engine mounts to suit every fitting need. There’s really only one job to worry about – changing the oil on a regular basis. And that only takes a matter of minutes. Aside from that the engine just runs and runs with virtually no need for tuning, servicing, specialist skills or cost. Your running costs for a year may well be just a few pounds on oil and a few consumable sundries like sprockets and clutch parts. A major service is needed every 50 to 100 hours and is carried out by the Tal-Ko factory in the UK or the nominated dealers in other countries. 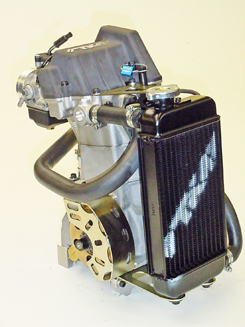 The engine is a full race unit designed to give its power over a really broad rev range. As soon as you press the throttle you’ll feel the pull of the strong torque curve band. And it just keeps on going. The engine is easy to drive and with no holes in the power delivery, so ideal for novices and experts alike. Take a step into the future with K4S. Free first 10 hr inspection then at least 50 -100 hours before a major rebuild.